The public transportation in Europe is a dream come true for a person like me. I would say Ireland is the least efficient at public transportation and they are still quite good at it. Living in Louisburgh does complicate the system though. In order to get to the airport for the travels we have done, it involves a lengthy process. We take a thirty minute cab ride to Westport, the nearest town with a train station. From there, we take a three and a half hour train ride to Dublin. After disembarking from the train, we take an bus ride that can take anywhere between one to one and a half hours to the airport. There, we get onto whatever plane we are about to catch. When I went to Paris for spring break, we left Louisburgh at 6:30 AM and landed in Paris at 9:45 that night. Returning was much worse. Our last spring break stop was Florence, Italy. We woke up at four in the morning to get to the airport by five. We had a layover in Paris that we missed due to a frankly ridiculous passport control line. When it was all said and done, we got back to Louisburgh at 8:30 that night. When accounting for the time change, we had traveled for sixteen hours that day. The public transportation systems in the other countries I have visited have been so useful and easy to use. In Athens and Paris, we took the metro everywhere. The really nice thing about the metro is that if you’ve wandered away from places you recognize, you can just walk down into the metro station, figure out where you are, and take the appropriate metros from there. 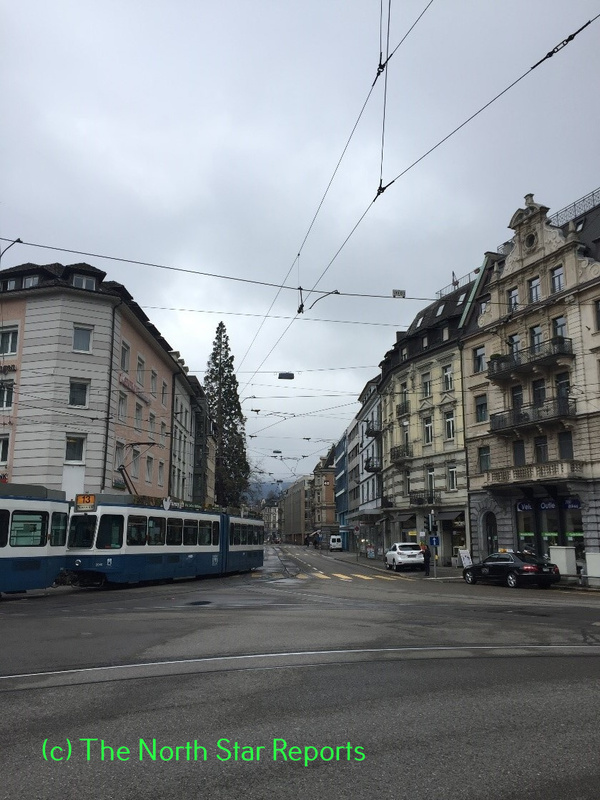 When we were in Zurich, Switzerland, we took the tram around the city. That was also a very nice way to get around and see more things. Florence was the only place that we did not take public transport as much. We took a bus to our Airbnb and a taxi to the airport when we left (because we had to be at the airport at 5 in the morning and that was awful). However, that was it. We walked everywhere else. Florence is a very compact city to explore. That was also great, though, because we saved money on transportation. Because of the savings, I invested my money in eating gelato three times a day. It was roughly the same price as the metro had been in Paris so I did not feel bad about spending the money. I think we also walked enough during spring break to justify having a few treats each day. I know this is not a completely fair comparison to transportation back home. The closest thing we have in Minnesota is the Light Rail or the public buses. I only use the Light Rail when I go to Twins games downtown because it doesn’t go anywhere I need to be on a regular basis. I also do not use the buses very often because they can be so unreliable and frustrating to use. However, if our public transportation in Minnesota was as easy and convenient to use as it was in these countries I visited, I would seriously consider investing in those instead of a car after I graduate next year. I share your appreciation for robust public transportation. I would be interested in seeing what it would look like for America to shift toward a better public transportation system. There are a number of benefits I can list off the top of my head. I think it would be immensely challenging to mold the American mindset away from the traditional system in which personal vehicle ownership is nearly required in many cities. To be honest, I was extremely intimidated by public transportation. My perception changed dramatically during our trip to London. I appreciated the efficiency and economy of the Tube. Thank you for sharing your experiences, Allie. It sounds like an incredibly lovely time. Public transportation in Europe sounds like a dream compared to the mildly annoying task of driving oneself everywhere. I am in total agreement with you that if public transport in the U.S. was (or was to become) as efficient as in Europe I would likely not even bother with a car. The government should be taking a very serious look into upgrading transportation methods, especially since cutting down on individual car use would be beneficial to our critical environmental situation. The world needs to collectively push towards changing everything we possibly can into eco-friendly options if we have any hope of reversing the damage in the next decade. Thank you for sharing your experience! I too understand your frustration when it comes to transportation. I am always the one who drives in Duluth when a group of us needs to get somewhere. Even though, as a student of CSS, have free DTA rides anywhere, have never taken a bus ride in Duluth. Nor do I ever plan to. I choose not to do public transport if avoidable. Opposite of you, I really enjoy driving and would rather take my car anywhere than other sorts of transportation. I once traveled to Washington D.C. where they have a metro. I greatly enjoyed that experience, and like you mentioned, they are very easy to use and sometime are quicker than taking a taxi or driving your own vehicle. I would love to see metro’s in other locations of the United States. It a great experience, a convenience to me, and even better for the environment!!! This is an interesting thought about traveling. I feel that when people travel abroad, transportation is not the first thing on their mind. When we travel from state to state here, we either have our own vehicle or know how to take advantage of the transportation systems there. Traveling abroad can be confusing because you do not know much about where you are to begin with, and often the signs are in a different language, and the transportation system itself is often different from our own. This article though I did not feel like was direct about the meaning behind it. That sounds like it’s hard to do. I am used to being able to drive everywhere and getting there in a sort of fast way. To get home from Duluth, it only takes 2 hours. I feel like all of that traveling would get incredibly tiring, but so worth it. It sounds like you are traveling to beautiful places, that would definitely be worth the long traveling days. Thank you for sharing your experience of public transportation. It is really interesting to compare how we get around here in Minnesota, and how the various cultures you have been to get around. I think that it has to do with something that we have been talking about in our World History I Class. It has to do with the rituals and what we are accustomed and comfortable with. Being an individualistic culture, I think that we like to have our own means of transportation. Although I haven’t been to a country with this sort of public transportation, I think that it would have to do with their collectivistic nature. I think that I would personally feel uncomfortable with public transportation because I haven’t experienced it. I have only ever taken a taxi once and I didn’t like it. I would rather have my own means of getting around then rely on public transit. I think this is different among cultures and individuals, but the reasons behind it are the same. This article got me to thinking a lot more about public transportation. I am the opposite of you, I prefer to drive everywhere I go. Even if I am just going to the store with friends, I have no problem driving. This being said I do not think about or use public transportation very often or at all. I am 19 years old and i have never ridden in a taxi. My father wanted me to ride the bus from Duluth to the cities to bring me home on weekends, but my mom and I talked him out of that because it wasn’t convenient for them to drive an hour to pick me up from the cities either. I can see how you use it a lot more if it is more convenient like in other countries. Thanks for sharing, Allison. I also am not good at knowing where I am all the time, which makes driving in unknown territory unfavorable to me. If I had endless amounts of money, the first thing I would do is hire a driver to drive me everywhere. I would never have to worry about driving in bad weather, bus schedules, or any other form of public transportation. In America, it seems so standard to own your own car, so our public transportation is not that great compared to other countries. I think if people started using public transportation more instead of driving cars, we could eventually make the shift toward better public transportation since more people would rely on it. The problem is that public transportation is not that great in some areas, so many people do not use it. So, we would have to put some money into those systems to upgrade them before people will want to start using them more. Then there is the possibility that still no one will choose it over owning a car. It ends up being a vicious cycle where nothing really improves. We’ll have to wait and see how things change over the years. Allie, I think this is a great post that really notices a few things about the differences between MN and all of the countries that you’re traveling in. I think a lot of it has to do with how fast-paced and impatient we all are, so we drive our own cars. Why do you think we don’t invest in bigger public transportation here? Are we too small? I have seen evidence that shows how public transportation helps the environment. Yet, I don’t find myself choosing the bus over my car all that often. I think it’s really interesting that when people study abroad they are usually nervous about figuring out the transportation systems, but then after a short time, they become experts. It sounds like that’s happened with you, too. I am glad you’re enjoying your time in Ireland. Enjoy the rest of your travels and have a safe flight home! Thank you for your story. Traveling can be quite a headache when you run into long lines and different languages. I am happy that everywhere I have traveled has been pretty good about traveling times. It seems as though other countries have different perceptions of time. Here in the United States we are always trying to find ways to go fast and rush through things. This could be why we overlook the extra time that it takes to travel in other locations. A reason behind the quicker transportation in other places could be because they know us Americans are always on a time crunch and we get angry when we do not get what we want. I believe that if we got more public transportation here, we would have a quicker travel time than we do now. It would be more efficient, but then would we be more greedy? This was a very interesting article to read. Many people do not take into account how they will get places when traveling to other countries. Especially those with different road laws. I know when I talk about traveling with my parents or my boyfriend we definitely don’t mention anything about getting from one place to the other, other than the obvious plane ride. This is a very interesting take on traveling. I enjoy driving and prefer to be the one driving when I go out with my friends (though that may just be my control freak coming out). I will for sure take a second to think about, and maybe even discuss with my family or boyfriend next time we get on the topic of travel, how we would be getting from one place to another outside of that very obvious plane ride. I must say that just like you I don’t enjoy driving that much. I have never been to Europe but from what I have heard from a lot of people including you is that they have amazing public transportation, which is something I believe most countries that have a high demand of public transportation do. Your trip sounds extremely long, especially by traveling in a place where most people express is extremely easy to travel around. The way you talk about Athens and Paris reminds me a lot of New York, everything there is connected by the subway and if you can’t reach it through it, there are always many buses for you to move around in the city. I am so jealous of you and being able to eat authentic gelato three times a day while in Florence. I must say that different from your opinion, I believe that America has good public transportation that is accessible to a lot of people and it allows many individuals who don’t have the resources to actually travel around their area. I have learned a little bit about the public transportation in Europe in one of my classes. The light rail system them have their is very elaborate and goes to cities all through out Europe. Also they travel at much faster speeds than the ones here in Minnesota making them useful to travel further distances. Here in Minnesota and in Duluth the light rails could be used more because they are an effective way to go downtown if you are near a station. My home town has a station in it but like you said the only time I’ve ever used it is for going to and back from Twins games. Hopefully Duluth will look more into a system and the whole United States looks into getting connected on the high speed rail lines, like Europe has done. Allison, a very interesting read and something I think we take for granted in the United States. When I am at home in Wisconsin, I have access to a car, but when I am up at school in Duluth I do not have a car. I rely heavily upon my bike to get me around Duluth, and for farther distances I sometimes ask friends for rides. Speaking of public transportation, I had the opportunity to use the Duluth public bus system yesterday, as I took a group of kids from Myers-Wilkins Elementary school to UMD to play disc golf. It is always a fun experience to ride the bus and you see the city from a different perspective. I can only imagine the amazing sights you have seen traveling in the countries you have visited. Interesting that every country’s public transportation system is a little different and some are more efficient than others. Thanks for sharing! I wish Minnesota had a better transportation system because it seems so useful and easy! I have taken the light rail downtown Minneapolis a few times but it would be nice if it went more places. The only place in the US that I have been to that has a good transportation system was New York City, but even that had quite a few flaws. It seems like most countries, especially is Europe, are way ahead of us in that aspect. However, I absolutely love driving so it’s not that big of a deal to me! Allison thank you so much for sharing the many stories on your experiences studying abroad in Ireland this semester. I agree with you that Public transportation can be a hit or miss. In the US I have tried many forms of transportation from the subway to a taxi and sometimes they are reliable. It is amazing how getting to Paris you and your friends took 3 or more forms of transportation. When you went to Paris, Venice, and Sweden were all the public transportation in English? How hard was it to understand the processes of the trains or planes in a different country? Great Article! Wonderful article Allison. I really enjoyed hearing your stories from the time you studied abroad. I can actually really relate to this post. I am not a fan of driving either and would almost rather take public transportation anytime available. I agree with your analysis that the transportation in the United States really lacks compared to that of Europe. I was actually in Ireland over winter break of 2017-2018. I thought the public transportation throughout Dublin was phenomenal compared to that of any city I have been in throughout the United States. There were tons of taxis, buses, and trains you could take daily. They always showed up on time and would always get you to your destination in a reasonable amount of time. The bus routes were always clear and if you had a question it seemed like any of the locals or bus drivers were happy and able to help. I think when it comes to the design and execution of carrying out successful public transportation the United States should look to Europe for help. Thanks for sharing your stories! When I think about it, I have maybe ridden public transportation a handful of times. I really enjoy driving. I have never lived or even been to a place where public transportation was the main way of getting around. I probably take driving for granted way more than I should. I have always had access to a vehicle during high school and recently bought an old truck about a year ago. I know that not many people can say the same. I would be so confused in Europe trying to navigate the trains, buses, or subways. I get very antsy in settings like that and I think I would probably lose my mind. Anyways, I’m they are useful for some people! Great article! Studying abroad sounds like an adventure everywhere you go in Europe! 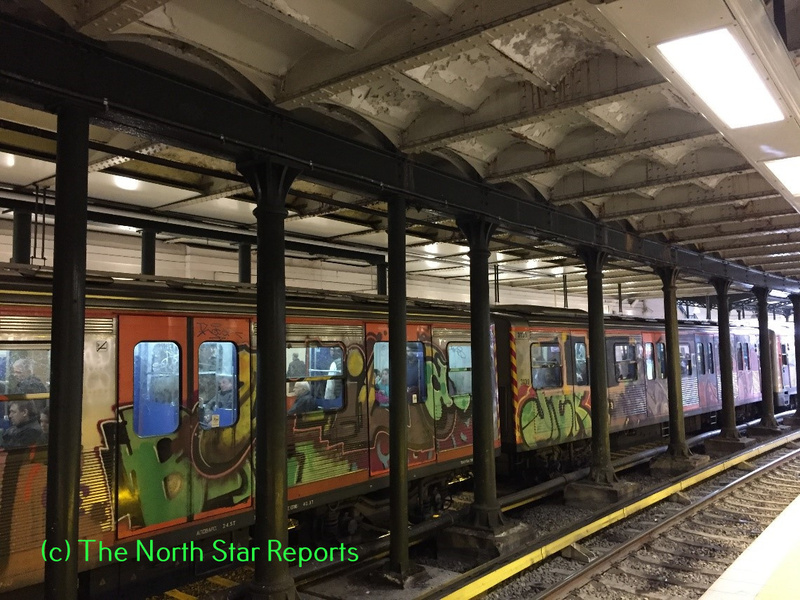 I do agree with you on the fact that public transportation in Europe and other cities in the United States has a much better system than the rails in the Twin Cities. They lack the diversity in routes than many modern cities have for public transportation. This summer I traveled to Chicago which had a fantastic system with the “L” with many of the rails running 24 hours and Washington D.C. that had many different entry points so that you could avoid the traffic inside the city. One question I have for you is, how common is new taxi apps such as Uber and Lyft there? Often, these offer a much cheaper system than original taxis but I am curious to see how they operate in Europe! I come from a very small town, so coming to Duluth and driving was really nerve-wracking for me my first year. I don’t have a car here on campus, but I would drive friends around with there cars. I tried to use the DTA whenever I could, but it could definitely use some improvement! I often took me more than an hour to get to my destination…. A trip to Target from campus took over an hour one time. In talking with family and friends who have been to Europe, they have all told me that public transportaion is definitely a lot easier to use there, much like you mentioned. Allie, I love reading about foreign travels and especially about differences and ideas that can be built upon to create growth in the place you’re from. I can completely understand all the negatives of driving and agree that public transportation is a better option… in Europe. I think that the transportation systems are so vastly different for many reasons. One of which is the architectural layout of the cities; a lot of the cities in Europe are much closer together in terms of distance between places you need to go, whereas in Duluth, there is a 32 mile stretch with necessities scattered across the territory. Another reason is the culture; in the US, because we are used to the large distances that are inconvenient to walk/bike/bus to, we tend to be lazy, although the inconvenience seems to be cyclical (public transportation is too difficult, so people don’t use it, so the transportation isn’t improved upon). Both of these differences are reasons why having a driver’s license and car are such huge landmarks in the US. I definitely understand the appeal of a well-planned public transportation system; I really enjoyed traveling by tram and train in Germany because I could quickly and easily access almost anything I wanted without extensive effort on my part. I would like to see a bit more efficiency brought to public transportation in the US and especially in Duluth. I miss you and your travel tales! I, too, hate driving for the same reasons you do. I’ve actually debated selling my car for a little extra cash and forcing myself to start taking the bus. However (and it’s probably the American you-have-to-have-a-car-or-else-ness), I don’t like the idea of having to spend 30-40 minutes on the bus when it would only take me 10 to drive myself. Public transportation in Ecuador was very disorganized as well. It involved a lot of hoping & luck. Contrary to here, though, the traffic was so bad that I would spend the same amount of time in a car, on the bus, or sometimes even walking to get from place to place. In addition, the bus only cost a quarter to ride, and you could get from one side of the country to the other for less than 10 dollars. I really enjoyed reading your analysis of global public transportation, I too have thought about the dismal public transportation that we have. I do not understand why we can’t redesign public transportation to the point it becomes a useful option for the public. I have been thinking about studying abroad in the future and one of the first places I thought about going was Ireland. I am of Irish descent and many of my family members have studied in Ireland. I would jump at the chance to travel across Europe, via public transportation and backpacking to get the most out of the experience. Reading your essay has given me more confidence in the ability to do that. Thank you for sharing your ideas, I am sure that many people have the same feelings as you and I. This resonates a lot with my experience in Rome and Russia. When traveling in both places, I had the impression that owning a vehicle was almost impractical when compared to how convenient public transportation can be. What really surprised me was how cheap it was to move around a city. In Russia, a bus ride was about 22 rubles, or, fewer than 50 cents. Metro passes in Moscow were 50 rubles each, if I remember correctly. Of course, this does come with drawbacks: lines, tickets, scheduling, and, worst of all for me, crowds. I can see why one would be frustrated and do not like driving. Personally I like driving but driving in duluth is not my favorite because the gas milage is very poor. I think the public transportation in Europe is much better than in the United States. Many more people in Europe take it which means more government funding. I rarely used public transportation, only when I am in Minneapolis going to a vikings game or a concert. Thank you for sharing part of your experience abroad! I think it is really interesting to hear about other countries and how they use transportation. I think it is a major accommodation for people to have an easy to use and accessible way of transportation. It would be nice if we had more “community” transportation here in Minnesota. I hope you had a great trip and continue to share your experiences! Thanks for sharing Allison! I agree with you on the driving, I think I only liked it when I was 16. Just think if we had this to bring us to school each day, the parking would be great! It must of been interesting to see how other countries function compared to ours. I feel like that would be refreshing to try something new. I agree it would be so much easier if we took cars away stopped relying on them. A lot less stressful for sure! I hope you had a great trip. I am from a big city in Canada so for me the train is a huge plus. In Duluth I hate the bus system and I do not have a car so I find myself having to rely on other peoples cars a lot more. I think it would be a great experience to compare another country to my own besides the US. Thank you for sharing your experience! America’s public transportation system is for sure lackluster! Europe has really embraced the idea and has done it very well. It makes more sense for Europe to have embraced it more because of the size of most of the countries compared to the large United States. Many people in the US grow up with cars and I know that I personally like the power to drive anywhere at anytime while not waiting for public transportation. That is probably because I grew up in a small town that didn’t even have a bus unlike people in Europe who are surrounded by the immaculate systems that are in place there. It would be very convenient to have those implemented in America so hopefully someday we can catch up to our European counterparts! This article is rather funny to me because I absolutely hate public transportation and love driving. Public transportation wasn’t around in my hometown of Madelia, Minnesota, and was barely around in the town I went to school in, Mankato. Even coming to Duluth was strange for me because many more people rely on the bus system to get around. I have only had two experiences on public transportation in Duluth, and both were not great- I was hit on by drunken older men and it really creeped me out- but for many people public transportation is a way of life and a necessity. I guess before reading this article I never realized how much of a privilege it was to be able to get around without public transportation- I have always had vehicles in my family or friends who could give me rides regularly, and now I have my own vehicle. Thank you for an interesting take on something I really hadn’t thought much about before! I have a funny perspective on this public transportation topic. My sister’s boyfriend is from Scotland and has never owned nor operated a motor vehicle in his entire life. He found it so strange that everyone drove themselves. He apparently led my sister down many wrong turns when tasked with navigation on their vacation together here in the United States. My point is that having that public transportation network always there seems to have made him reliant on using it, and his backup plan for when that fails is walking. Nothing wrong with relying on what you have around you I just find it strange and different. The public transport here in Duluth is a bit sketchy at best and is something that I only used as a last resort, and wouldn’t consider doing now, because the route to work would take over an hour. It is funny how close quarters can force humans to come up with solutions to problems that others can’t even see are an issue here in the US. Thank you for your post I enjoyed it. I am not the best driver, but I do enjoy the feeling of having my own car and going anywhere I want at anytime. I did not have a car my freshman year and it was a very big adjustment because I had a car right when I turned 16. It fascinates me that in different places it is very common to have a car. Public transportation is not as common as it is in other countries. I enjoy using public transportation when I am in a foreign country because it is often very cheap and I like the possible social interactions that I can have with strangers. Thank you for the post!